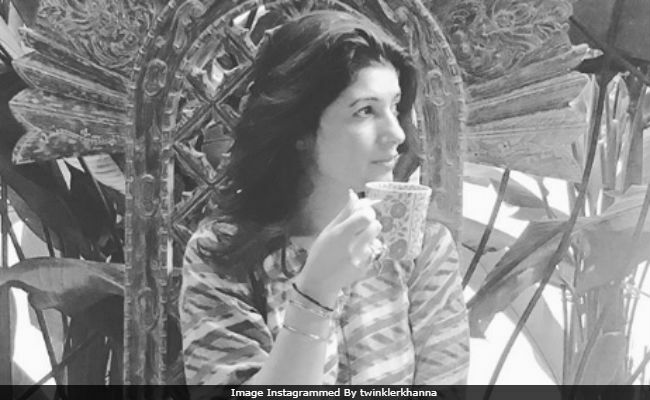 This morning, author-columnist Twinkle Khanna posted a picture of herself sitting on a 'throne' with a 'pun intended' caption that reads, "The early bird gets to sit on the throne first. #punintended #morninggirl." (The 'throne,' which Twinkle has mentioned, actually appears to be a chair from her garden). The Internet just loves the caption with which the picture has been posted and, of course, Twinkle. The users have highlighted how Twinkle's picture reminds them of Daenerys Targaryen (Khaleesi) of Game Of Thrones. "Khaleesi must have been following your write-ups and comments," "It reminded me of Game of Thrones," are some of the comments posted on Twinkle's picture. In December, Twinkle posted this about the 'throne being taken over.' "In May the stray mom on the left came along and I had new additions to my household and last week another feline family arrived and took over the throne :) #CatPerson," she wrote. The picture appears to be taken at the same place. Twinkle Khanna is married to superstar Akshay Kumar since 2001. They have two children, son Aarav and daughter Nitara. She is producing Akshay's new film, PadMan, which opens next week. PadMan is based on Arunachalam Muruganantham, who invented low-cost sanitary making pad machines. The film also stars Sonam Kapoor and Radhika Apte. Akshay Kumar won the National Award for Best Actor last year for 2016 film Rustom. Twinkle Khanna is a former actress. After giving up a career in acting, she became an interior designer and, now, she's a best-selling author.